Will she be more successful recruiting local Black athletes? I love Lindsay Whalen. I’ve known her since her freshman year at Minnesota and throughout her stellar WNBA career. “You saw this coming?” a local reporter asked yours truly, the longest-tenured Gopher women’s basketball beat reporter, of my thoughts on perhaps the quickest coaching search since LaRue Fields, the program’s first Black head coach, was hired in 1987 after Ellen Mosher-Hanson unexpectedly announced her departure from the job. Whalen is the eighth Gopher coach under my reporting watch. “I will do my best,” she said during last Friday’s “hail the conquering heroine” press conference on the Williams Arena floor, the first time since a similar event was held for Tubby Smith when he was hired. Minnesota AD Mark Coyle briefly outlined the “whirlwind” timeline, which began “officially” last Monday after former coach Marlene Stollings bolted for Texas Tech after four seasons. “We had a search committee, and we talked to multiple candidates about the position over a two-day period,” Coyle told me. “Once we learned Coach Stollings was going to leave, I reached out to Lindsay on Monday. 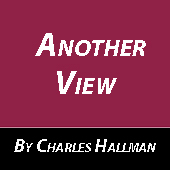 We talked with three candidates on Tuesday and a candidate on Wednesday. Then we had it wrapped up on Wednesday afternoon,” said Coyle. Asked if he succumbed to outside pressure to hire Whalen, Coyle responded, “Not at all. We felt no pressure to hire a candidate.” Then we asked if his candidate search included Blacks. “We did,” he replied without providing specifics. 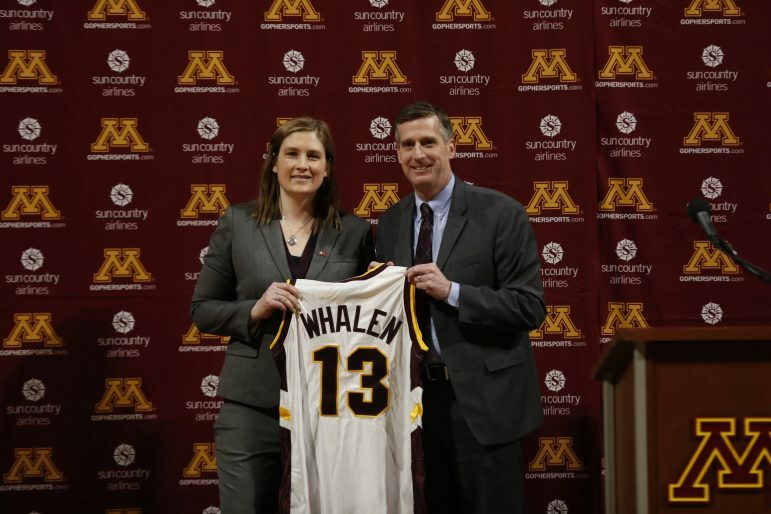 “I think it’s a great hire for Gopher basketball,” former U of M AD Joel Maturi, who hired Smith, said of Whalen. First, historically there has been a talent drain of good players, great players, Black players from this state who if they had stayed would have propelled Minnesota into a perennial Big Ten contender. For whatever reasons, this hasn’t happened. Can Whalen indeed turn the proverbial corner in this regard? “Putting together a staff and building a relationship with in-state recruits and coaches” is important, Borton confirmed. This relationship-building might be Whalen’s biggest challenge. There are state players, specifically Black players, who deserve serious looks. Reaching out to them early rather than waiting until they are on other schools’ radar screens, when in most cases it’s way too late, only makes sense. The new Gopher coach could get one or two of them interested early in playing for Minnesota, unlike Whalen herself, whose lifelong dream was to be a Gopher. This isn’t always the case for the urban player. “There are a ton of great players in this state. We’re going to do our best to make sure these players are wanting to stay home,” Whalen pledged. Therefore, it must be at the top of her must-do-now list that Whalen hire a very competent staff, especially one that can effectively beat the recruiting bushes. “I think I have a good mix of people we will look at and surround [myself] with,” she told me. “There’s not a living room she won’t be able to go into,” Coyle said regarding Whalen’s recruiting potential. Second, please enough of the Dawn Staley comparison. First of all, Staley’s first coaching job at Temple while she was still an active WNBA player was not at her alma mater (Virginia) as Whalen is in her first coaching job. Also, Staley wasn’t on a defending league champion team vying to repeat this summer, as Whalen is on the Lynx.